Umno veteran Tan Sri Rafidah Aziz says it is shameful if others believed that Malaysians preferred slower Internet services. She was referring to a comment by Communications and Multimedia Minister Datuk Seri Salleh Said Keruak who said 71% of Malaysians preferred slower speeds. – The Malaysian Insider file pic, September 30, 2015. “What and who were sampled or interviewed,” she asked in a Facebook post. She was referring to Communications and Multimedia Minister Datuk Seri Salleh Said Keruak’s comment yesterday that 71% of Malaysian Internet users preferred the slower Streamyx broadband package that offers speeds of between 384kbps to 1mbps. Salleh said even though higher broadband speeds were available, the majority of customers subscribed to the cheaper and slower packages. “In Singapore and Thailand, the minimum speeds range between 4 and 5mbps. In Malaysia it is only 384kbps. Of course we can also do this for Malaysia. “We can increase the minimum Internet speed to 5mbps and force Malaysians to buy this higher-speed package. But that would mean the cost would be higher as well and Internet usage will be available to only those who can afford to pay the higher cost,” Salleh said. But Rafidah urged Putrajaya to continue looking at South Korea and Japan to learn from the advancements there. The former international trade and industry minister also said investors wanted the fastest broadband speed possible, on par with that they were used to, adding that this also applied to Malaysians. “Our own people want that too, especially those who recognise the benefits of the superfast facility. “And our young who are ICT savvy, practically demand it. “Again more shooting of ourselves in the foot,” she wrote, without naming anyone. – September 30, 2015. 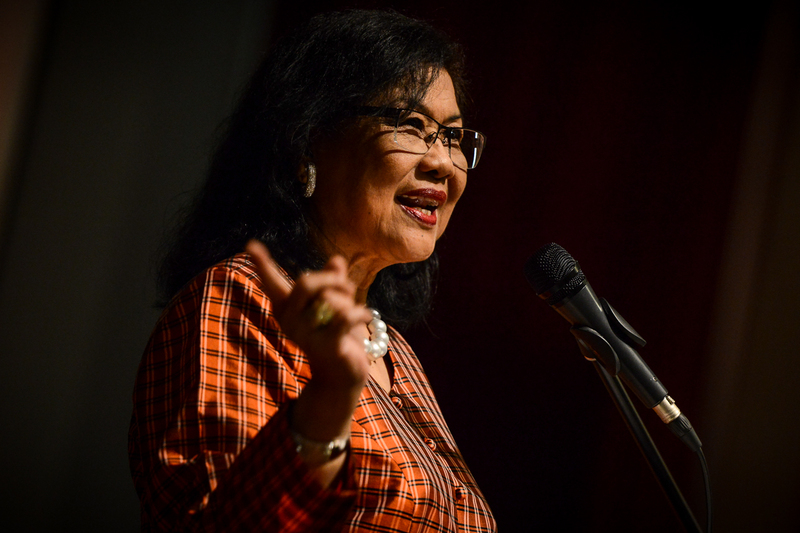 Umno veteran Tan Sri Rafidah Aziz has questioned a claim by a minister that most Malaysians preferred slower broadband speed, and asked how Putrajaya had arrived at that conclusion. She also said it was embarrassing for the world to have the perception that Malaysians preferred the slower option and that the government was happy with that.